A former video jockey turned wine journalist is making a run for the border on Friday in order to challenge the Prohibition-era law banning the transportation or sale of wine and other liquors across provincial borders. Terry David Mulligan has been a Mountie, a DJ, a VJ for the CBC and MuchMusic, a wine writer and now potentially an interprovincial bootlegger. Mulligan left Penticton, B.C., on Friday morning with a case of B.C. and Ontario wine in the trunk of his car after notifying police and liquor control officials on both sides of the B.C.-Alberta border of his plans. He plans to carry the case of wine into Alberta and bring Ontario wines back into B.C., he told CBC Radio before he hit the road. "Apparently by doing so I'm breaking the law," he said on Friday morning. Mulligan says he hopes to be the first person ever charged under the 1928 law, so it can be challenged in court. He says some officials have told him he can cross the border with the wine, but claims the facts prove otherwise. "From time to time we have heard stories about road checks where wine has been confiscated," he said. "3. (1) Notwithstanding any other Act or law, no person shall import, send, take or transport, or cause to be imported, sent, taken or transported, into any province from or out of any place within or outside Canada any intoxicating liquor, except such as has been purchased by or on behalf of, and that is consigned to Her Majesty or the executive government of, the province into which it is being imported, sent, taken or transported, or any board, commission, officer or other governmental agency that, by the law of the province, is vested with the right of selling intoxicating liquor." "Last year most of the wineries in British Columbia were sent letters from these very same people saying, 'You're selling wine to these people in Alberta, you are shipping it. That is against this law and we are going to charge you.'" he said. "Many of the lawyers that I have talked to feel it is unconstitutional. But most importantly and what really bothers me about it is that this law makes criminals out of anybody who has ever taken wine from B.C. to Alberta," said Mulligan. 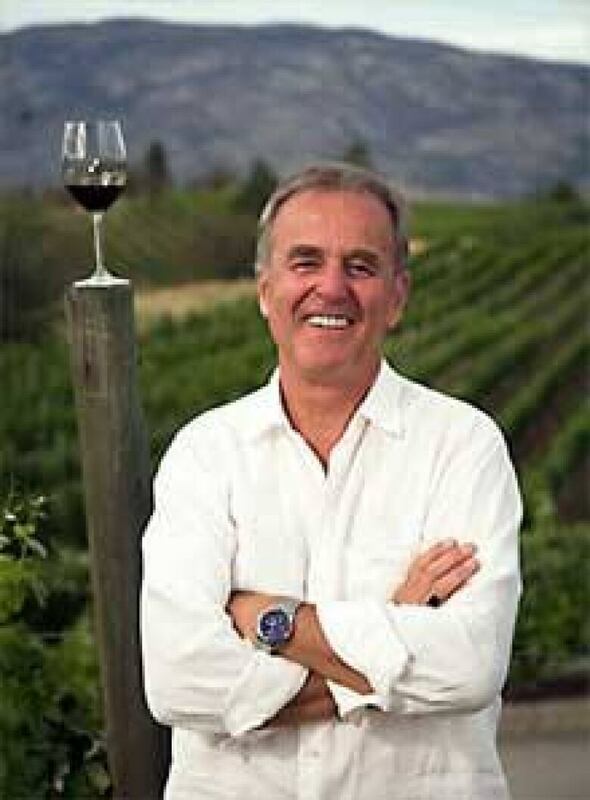 Mulligan says the law also harms small wineries by unfairly restricting interprovincial trade, allowing provinces to enforce lucrative monopolies. "This is a tax grab. We are talking about millions of dollars here," said Mulligan. He faces potential fines of $200 for the first trip and $1,000 for the second offense, but admits he does not know what will happen when he arrives at the border around noon local time. "Will the Mounties be there? Will the liquor control board be there? I don't know," he said. Lynn Hutchings-Mah of the Alberta Gaming and Liquor Commission says it's not paying much attention to what Mulligan's doing. "Our focus at the AGLC is not on an individual bringing wine into Alberta. Our focus is on the businesses in B.C. wanting to do business here," she said. Hutchings-Mah says those wineries should either register as an agent in Alberta or hire an agent to sell their product. The RCMP also said they don't plan to be at the border when Mulligan crosses. Wine: Is it time to end the ban on interprovincial trade?